I am a huge fan of Hammer’s gothic horror movies so I try to incorporate them in every one of my AWESOME-tober-fest celebrations. 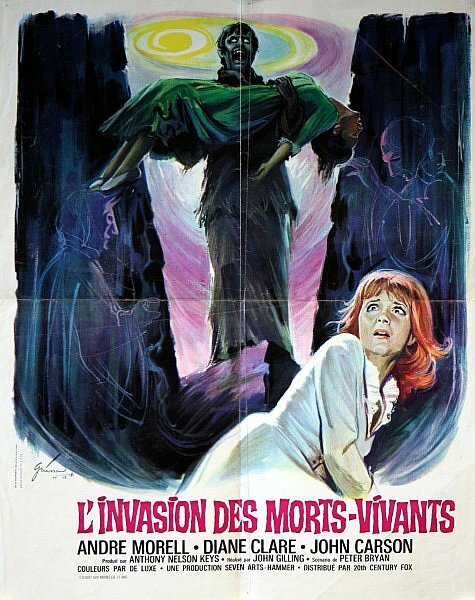 This year, I get to include their one crack at a zombie movie, The Plague of the Zombies. By the mid 60s, Hammer Studios had run out of Universal horror movies to remake, so they had to start coming up with their own stuff. Hammer decided to do a movie based on the voodoo concept of the zombie. They took inspiration from the 1932 Bela Lugosi movie, White Zombie. 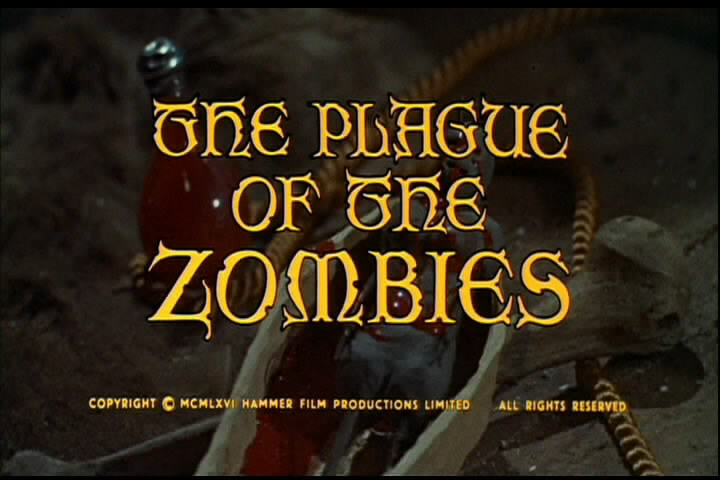 So, in 1966, two years before Romero’s genre defining Night of the Living Dead, Hammer released The Plague of the Zombies. 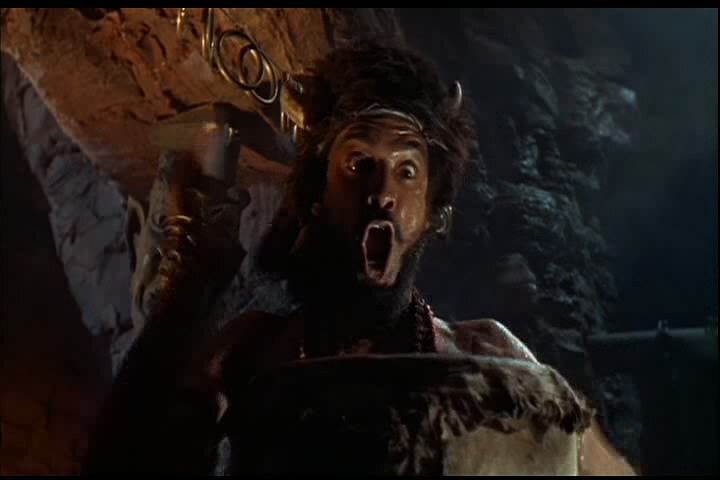 Hammer’s zombies, like most zombie movies before it, were created through voodoo and black magic. They are the undead, but they aren’t quite the cannibalistic walking dead you’re familiar with. They are just, “the walking dead”, period. No brain/flesh eating whatsoever. They are animated by black magic to do the bidding of the witch who resurrected them. Here are the title screens. 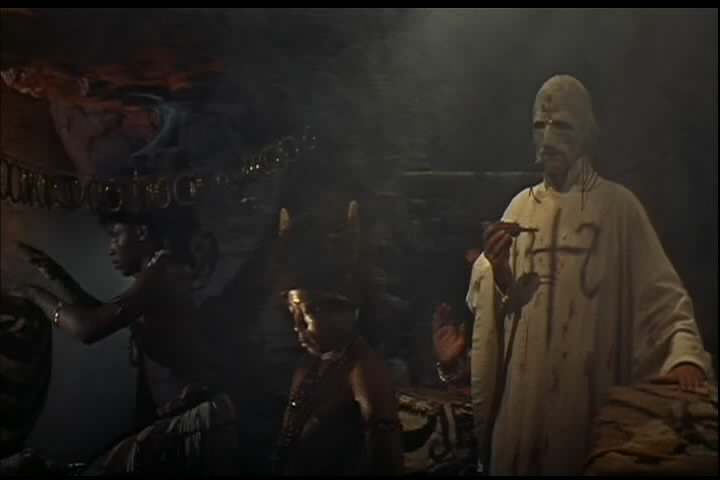 The movie starts with with a voodoo ceremony. We see the grand wizard there in his royal getup. 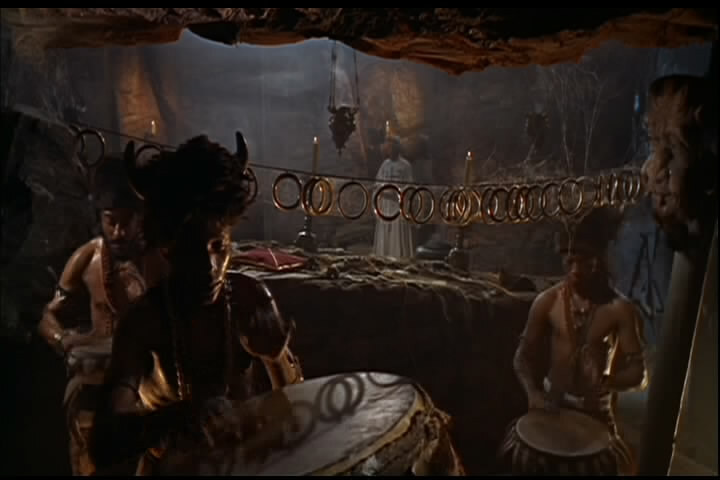 The scene is underscored by this rhythmic drumming that is being performed by actual natives. Presumably from Haiti, as we learn later that this is where our movie’s particular voodoo comes from. Check out that drummer. He is COMMITTED to this role. Get used to this Haitian drummer. He and his friends (there are about three of them) will show up throughout the movie. An elderly doctor summoned by one of his former students to a small town to help him diagnose and help stop a rash of people dying with odd symptoms. It seems people have been dying and no one can figure out why. Least of all the young doctor. So the old doctor’s daughter convinces him to travel to the village to help and at the same time they visit an old friend of the daughter who happens to be married to the young doctor. Things and people seem strange in the village, which they discover is run mostly by a wealthy squire. The doctor and pupil investigate the deaths and uncover many crazy goings on all tied to the enigmatic squire. That’s the basic setup. Two doctors investigating strange deaths in a small town. Not much else going on. The actors are fairly good, but none of the Hammer regulars are in attendance (ie Peter Cushing, Christopher Lee, David Prowse). Let’s take a look at a few screenshots from the movie. 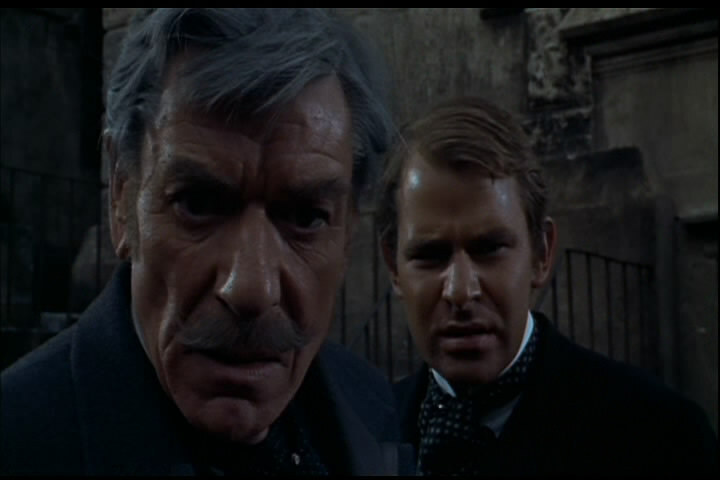 Here are the good doctor and his former pupil during their investigations of the town. The only attractive woman in the movie is the young doctor’s wife who dies very early on. The squire in charge of the town looks an awful lot like Guy Pearce. 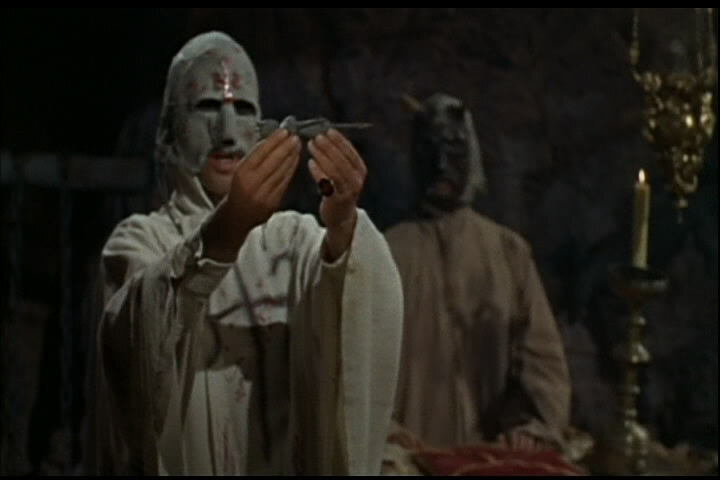 Here’s another shot of the voodoo zombie ritual including the gussied up Grand Wizard. Oh, and there are those drummers again. And they are a-drummin’. Hammer Studios must have gotten a good deal on them. 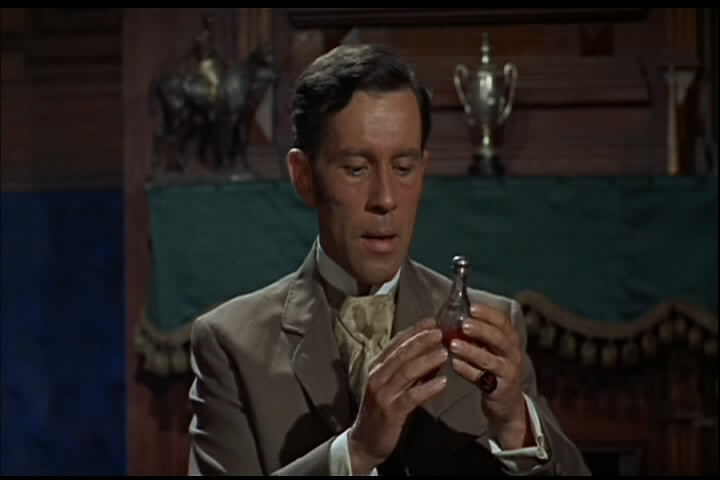 The young doctor’s wife turns out to be a victim of Guy Pearce up there. So she dramatically returns from the dead. I like the zombie makeup they use. Looks pretty creepy. Very similar to the Exorcist makeup (scratch that, reverse it. This movie came first). 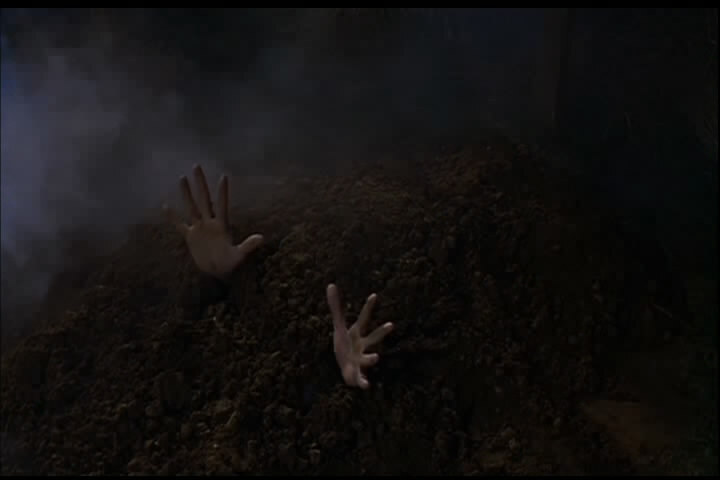 I read in a few places where the 1985 movie Return of the Living Dead claims to have originated the “zombie clawing itself out of the grave” shot. However, here in 1966, Hammer did it first. This was a neat movie. Cool to see this version of zombies two years before Romero released his classic. 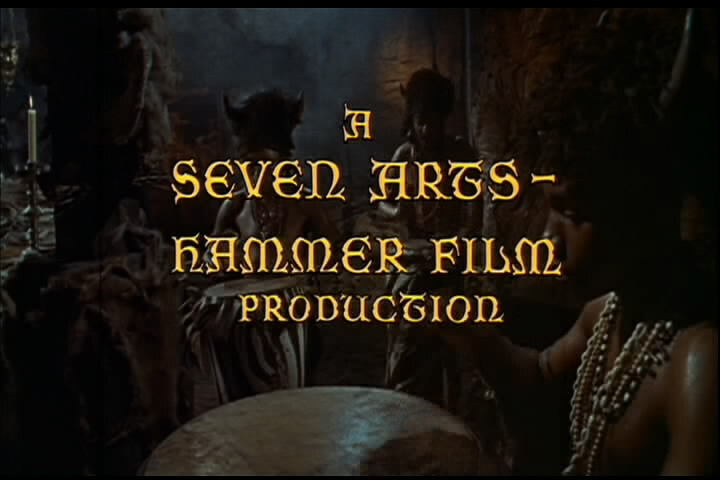 I like this movie, but I like most all of Hammer’s movies. I like their style and atmosphere. 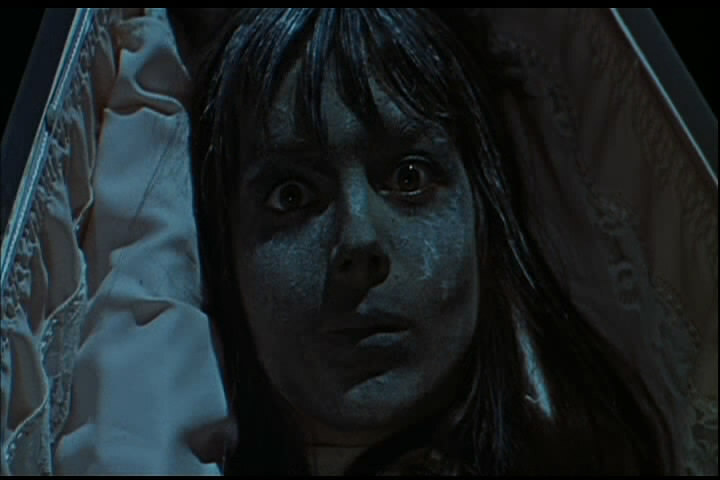 Just something about these Hammer movies are fun and interesting to watch. The colors are always vibrant and the sets are greatly designed. However, I’m not going to lie, the movie is a bit dull in the middle. They try to explain the Haiti and voodoo away in some fast exposition and there are other characters showing up that aren’t really explained. This caused a bit of confusion for me. However, that aside, while this isn’t as engrossing as either of Hammer’s first Dracula or Frankenstein movies, it’s still pretty good. This entry was posted on October 15, 2013 at 8:00 am and is filed under Halloween, holiday, monsters, movies, pop culture, zombies with tags AWESOME-tober-fest, AWESOME-tober-fest 2013, Halloween, Hammer Studios, holiday, monsters, pop culture, reviews, zombies. You can follow any responses to this entry through the RSS 2.0 feed. You can skip to the end and leave a response. Pinging is currently not allowed.